This world is full of so much pain. It takes even the best of us down. Most of us, by time we reach our early twenties have had very rude awakenings that chew us up and spit us out with nothing left to cry about. 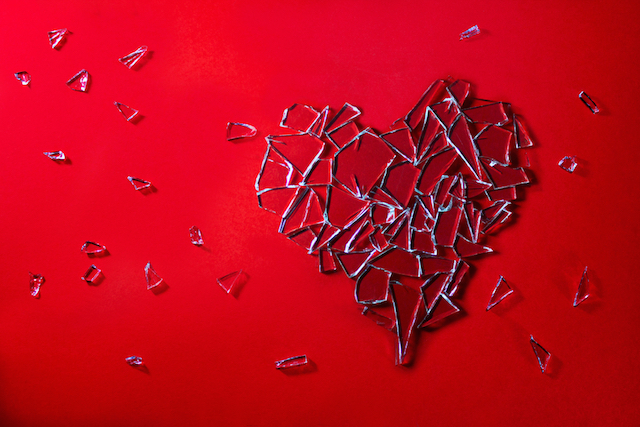 These heartbreaks, while damaging, lead us to become the person we are inside. 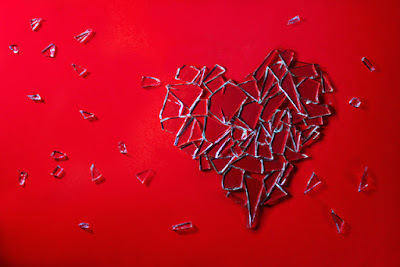 How each and everyone of us handles these individual heartbreaks, lays another stone on the foundation of our being. That moment when you feel so beautiful and alive in your own skin but you realize that your partner does not feel the same about themselves or you. It’s like watching someone scrape glitter off of an art project. You’ve spent so much time and effort building yourselves up only to watch the other person lag behind and find you distasteful because you kept going without them. A time when you realize you’ve kept yourself somewhere for so long out of obligation to everyone and everything but yourself. You find that your life has become centered around everyone else’s thoughts, actions and ideas. You become a monotone colorless person. Almost like a zombie, just plodding along, doing everyone’s bidding out of robotic habit. You realize the person you are is not who you want to be. Either you spend too much money, sleep with too many people, go out too much or whatever it may be. You find that the person you have become is wasteful, careless, thoughtless and very in-the-moment. Instead of planning for the future you live for the day and realize you have nothing to show for. Behind all of the glitz and glam of your early twenties and feeling young and empowered, you find emptiness when your friends go home for the night. You find your soul searching for someone to come home to every night, no matter the circumstances. You find yourself wishing your apartment into a house filled with the sounds of dogs and children running through the hallways. You find yourself crying over the yearning for joyous laughter echoing from your family in the dining room. There is the moment too when you know deep down you’ve spent too long convincing yourself you love someone when you really don’t. You know it’s true, it doesn’t even pain you to know it but you keep wishing and hoping you will love this person as much as they have loved you. But it just will not happen and you are forced to break their heart in order to save your own. Or when it’s the other way around and you are absolutely smitten with someone who is in love with another. You hope and hope they will notice you, that they will see you are the one for them. But instead they go their way and you stand there watching as you have your first one-sided heartbreak. The heartbreak when you miss your family. Even if you live 5 minutes down the road. You’d trade a years salary just to live one more day under your parents roof as a child, during one of the sweet moments- whether it be during the holidays or on family movie night. Just a little crackled break in your heart you get when you miss home. Death. Death is the hardest heartbreak. Because no one chose to walk away, no one gave up and most likely you didn’t have a chance to say goodbye. The moment it happens you feel like you’ve fallen from 20 stories up and crashed to the ground in a million pieces. The air from your chest has been stolen. Even your tears won’t fall. This is the heartbreak that breaks everything else. The heartbreak of wondering if all of the previous heartbreaks have been worth it all? Is your life the way you want it to be? The break comes when you say, "I don't know."